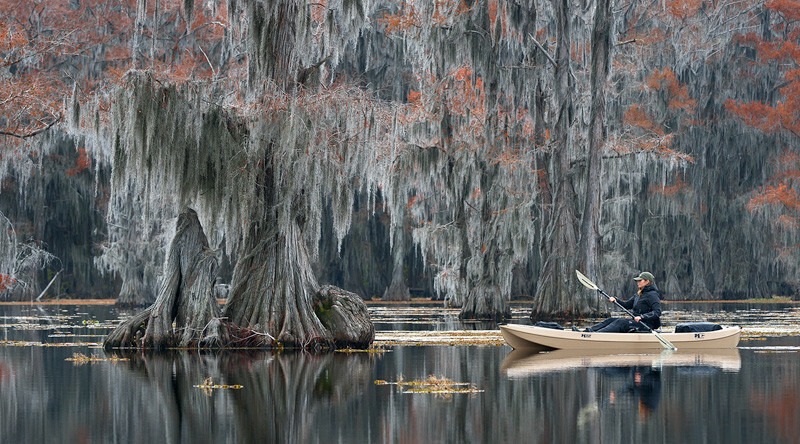 Here’s Daniella paddling amongst the cypress trees of the Atchafalaya Basin. It was late fall and most of the leaves had disappeared from the trees, but I really liked the eery look with that splash of red. This was shot on a very calm, chilly morning, and we had the entire place to ourselves again. Pure magic in one of the most surreal places I have ever visited.